Glas Basix Salts - Juicy Apple 30mLAvailable in 30mg & 50mg nicotine strengths.This flavor is a ..
Glas Basix Salts - Grape Drink 30mLAvailable in 30mg & 50mg nicotine strengths.This flavor is a ..
Glas Basix Salts - Fizzy Lemonade 30mLAvailable in 30mg & 50mg nicotine strengths.This flavor is..
Glas Basix Salts - Crunchy Berry 30mLAvailable in 30mg & 50mg nicotine strengths.This flavor is ..
Glas Basix Salts - Cool Melon 30mLAvailable in 30mg & 50mg nicotine strengths.This flavor is a n..
Glas Basix Salts - Blue Magic 30mLAvailable in 30mg & 50mg nicotine strengths.This flavor is a n..
Glas Basix Salts - Banana Cream Pie 30mLAvailable in 30mg & 50mg nicotine strengths.This flavor ..
Glas Basix Salts - Mango Tango 30mLAvailable in 30mg & 50mg nicotine strengths.This flavor is a ..
Glas Basix Series - Banana Cream Pie 60mLBanana Cream Pie is a custard filled flavor packed with ric..
Glas Basix Series - Caribbean Punch 60mLLike the intoxicating vibe of the islands, it's the perfect ..
Glas Basix Series - Sugar Cookie 60mLFresh from the oven! You'll taste warm buttery cookie dough, gl..
Glas Basix Series - Fizzy Lemonade 60mLIt's citrus-y, it's fizzy and it's icy cold menthol! 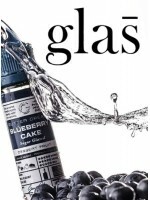 Del..
Glas Basix Series - Blueberry Cake 60mLDessert "Best In Show" winner at the 2017 Vaper Expo UK! Warm..
Glas Basix Series - Strawberry Gummy 60mLA classic take on strawberry sour belts with a gummy bear t..
Glas Basix Series - Butterscotch Reserve 60mLThis Grand Reserve has extraordinary butterscotch and c..